Laura Callaghan understands the power of a good pun. 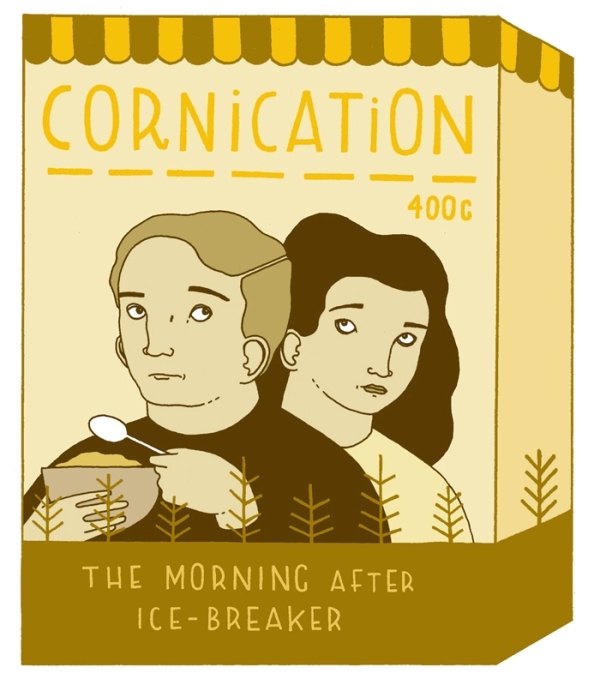 After seeing her take on the average cereal, we’re convinced that this 24 year old illustrator and “accounts lackey” should enter the marketing department of Homebrand to shake things up a bit. 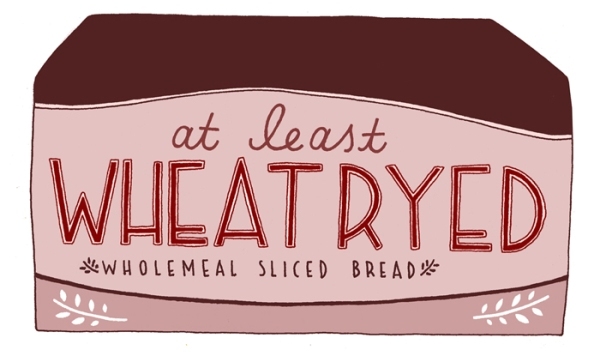 Who wants plain old wheat bread when you can have “at least WheatRyed”. 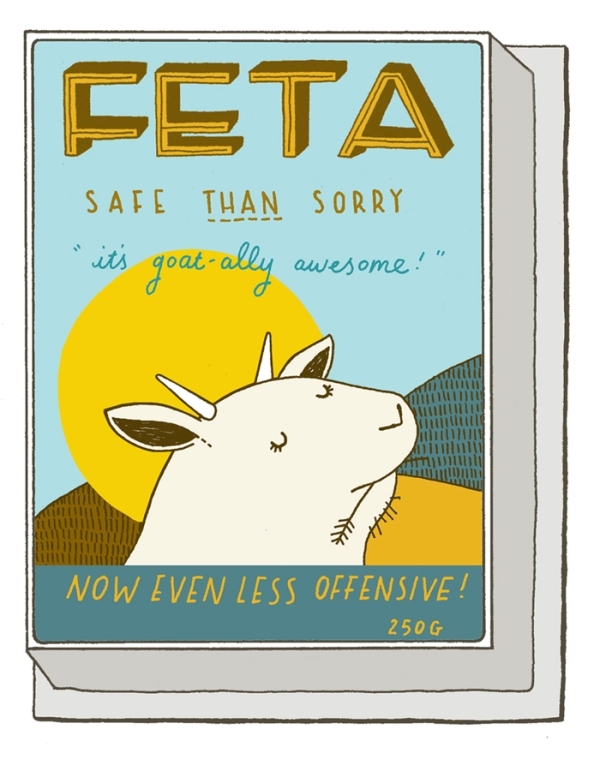 Those would sell like hot cakes. We arranged a quick Q&A with Laura to talk personal logos and high school art teachers. Interview after the jump. Favourite place to draw? Anywhere with a desk, I don’t have one at the moment-which makes things a little difficult! Favourite thing to draw? People, definitely. Although I’m very happy drawing anything that isn’t a horse. Cannot draw horses. Do you model your drawings/ characters on different parts of yourself/personality? I think subconsciously I do, I’ve had a few people comment that some of my characters resemble me. Mind you they are usually referring to the slightly freakish ones with pallid complexions and dark ringed eyes so that makes sense. If there was one thing you could redesign or draw, what would it be? In my wildest dreams, an album cover. I wouldn’t even necessarily care who for, though Nick Cave or Neko Case would be awesome. What did your high school art teacher think of you? About a third of my class went on to study at art college so she was pretty nice to all of us. Although I do remember her hiding the Caran d’Ache pencils from those students who were not deemed ‘worthy’ so maybe I was one of the lucky ones. If you had a comic book publishing deal, what would your comic be about? An autobiographical account of someone else’s life. Kanye West’s logo is a hip hop teddy bear. What would your logo animal be? A Narcoleptic Giraffe. I’m five feet, eleven inches of a sleep deprived mess. What’s on the horizon for you? I have some exciting large scale projects in the pipeline and I’m starting work on a personal project for the first time in forever. Who knows, 2012 could be the year I escape the mundane office job too! 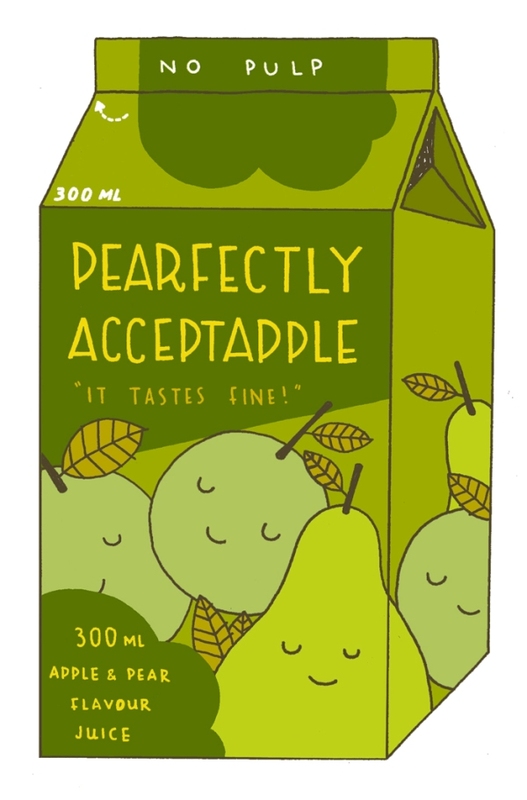 Tags: illustrations, illustrator, Laura Callaghan, puns. Bookmark the permalink.